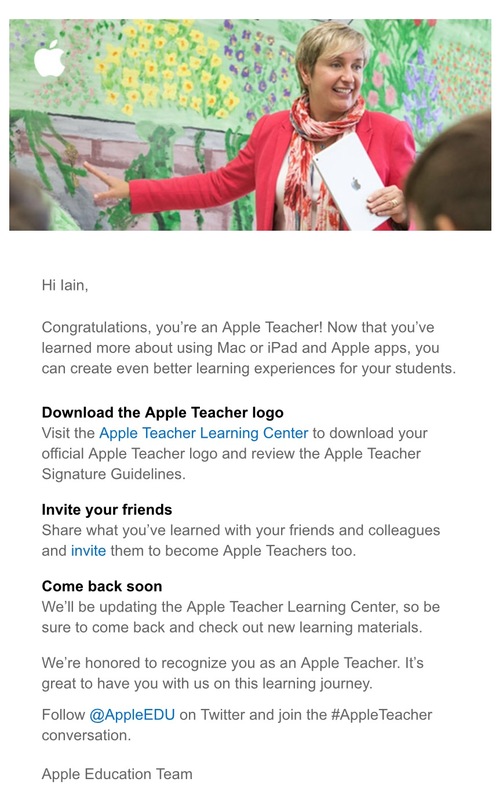 Anyway, last Thursday, I got an email notifying me that the Apple Distinguished Educator (ADE) programme was open to applications again. Remembering the heft of the application last time, I thought I would have a quick glance to see what was involved this time. Imagine my surprise to find that being an exisiting Apple Teacher was a prerequisite to applying to be an ADE ! When I dug deeper into things, I found that the list of countries had been updated (on January 24th, just in time for BETT?) and now included Australia, Denmark, Hong Kong, Ireland, Mexico, the Netherlands, New Zealand, Singapore, Sweden and the United Kingdom as well as the United States. So obviously I had to go and have a look. An early stumbling block you might face is to do with your Apple ID. 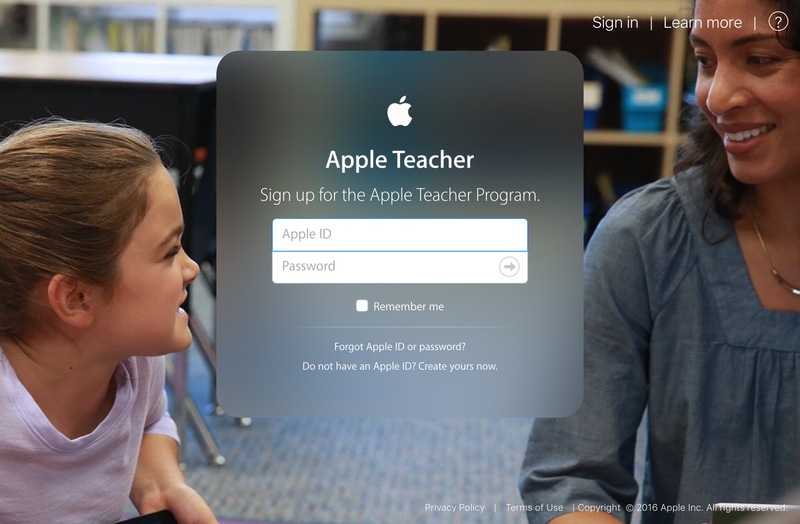 The Apple Teacher site states pretty specifically that it’s your own personal Apple ID you’ve to sign up with, and not an ID provided by your establishment. That’s fine for people like me – who surf the wave of our copious IDs with ease – but for some other teachers it may prove a bit more challenging. Interestingly, passing quizzes opens up more quizzes and the interface itself is pretty user friendly – as you’d expect from Apple. I’m looking forward to seeing how the site and the program develop, that’s for sure. It’s been a while since I blogged (a freshly minted child and 2 house moves will do that kind of thing to you….) but I saw something this week that made me think “People need to know about that. I should stick it on my blog.” Given how inactive I’ve been on here for so long, there may be a fundamental flaw in my logic there, but we’re going to let that slide for the moment…. 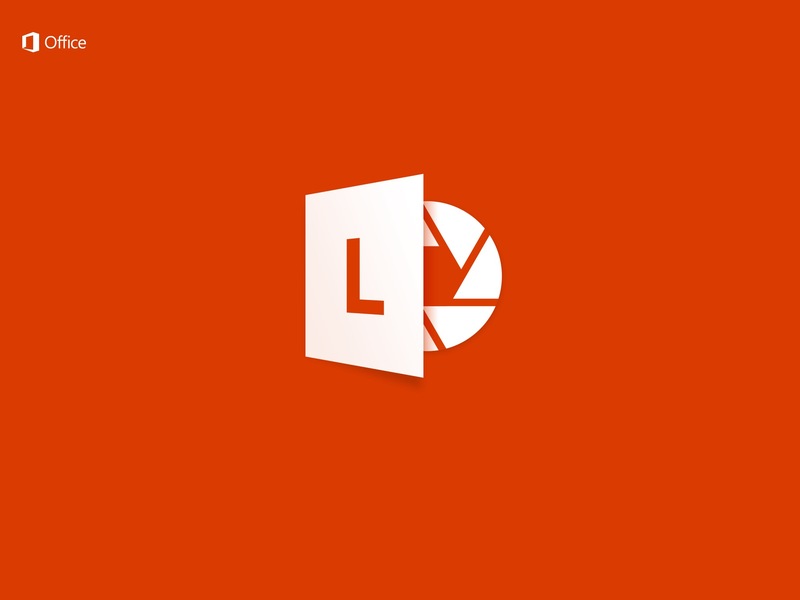 Office Lens – did I mention it was free? The thing that I saw was down to Ian Stuart. I had been asking some questions about OneNote and Class Notebook, and obviously Ian is the Go-To-Guy for such queries. He came out to visit me at school (many thanks Ian!) and ran through a few things with me. 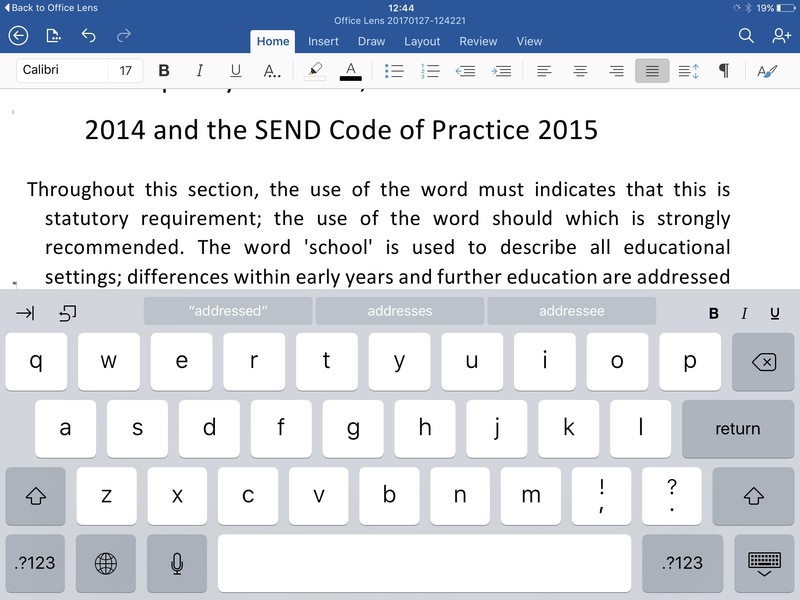 One of them was the amazing set of ‘Learning Tools’ available as a plugin for OneNote, and given our iOS situation he showed me the free Office Lens app too, but gave the caveat that it was only available in an iPhone version – although this could be used on the iPad like many iPhone apps. After I got home, I went to download Office Lens to my iPad and found out that the info Ian had given me was inaccurate. 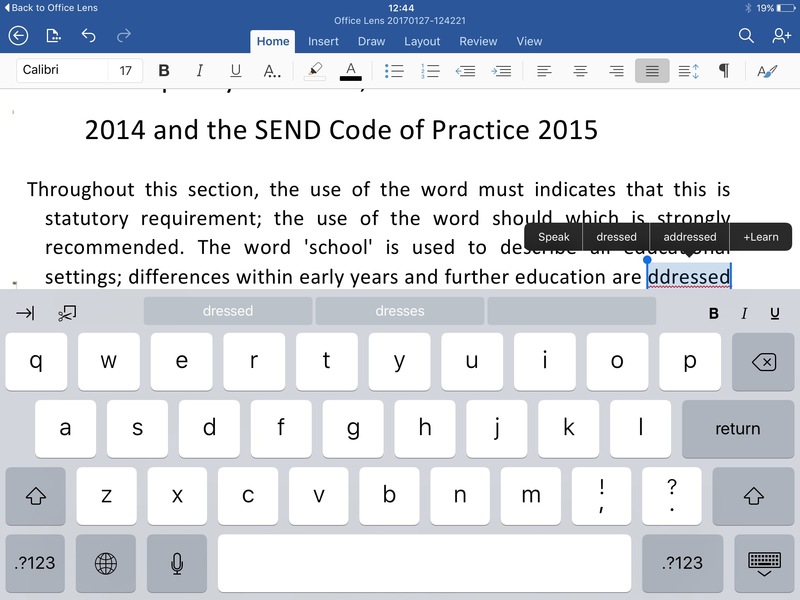 There was an iPad version of Office Lens available! Turns out that it had literally just been released that day. I must have been one of the very first people to download it (and did I mention it was free?). 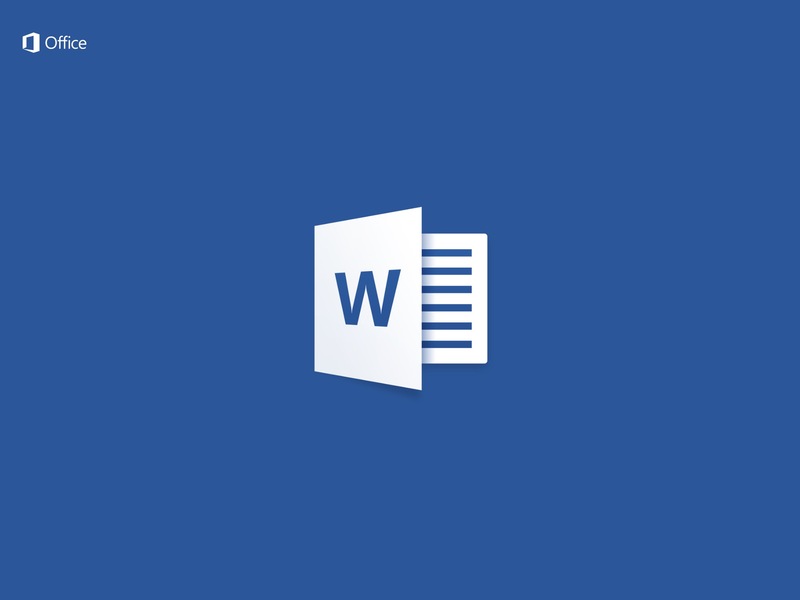 Well, put simply, if you have a piece of text, you point Office Lens at it, take a photo of it and it will then read it to you and also covert it into an editable document. See the pics below for an idea of how it works. First, frame your document in the camera, and capture an image using the onscreen red button. 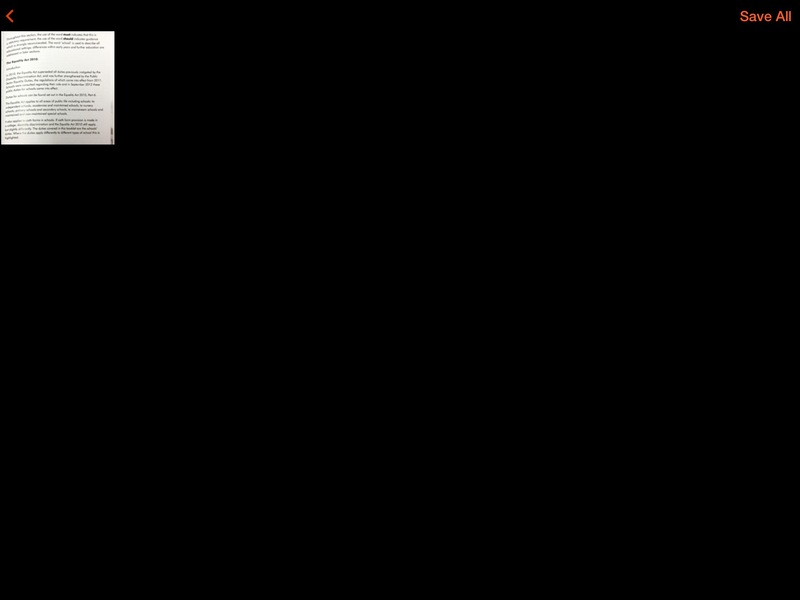 A thumbnail will be displayed of the image you just captured. You can now take more pictures, if you have more pages to scan. Choose where you want the image to be sent. 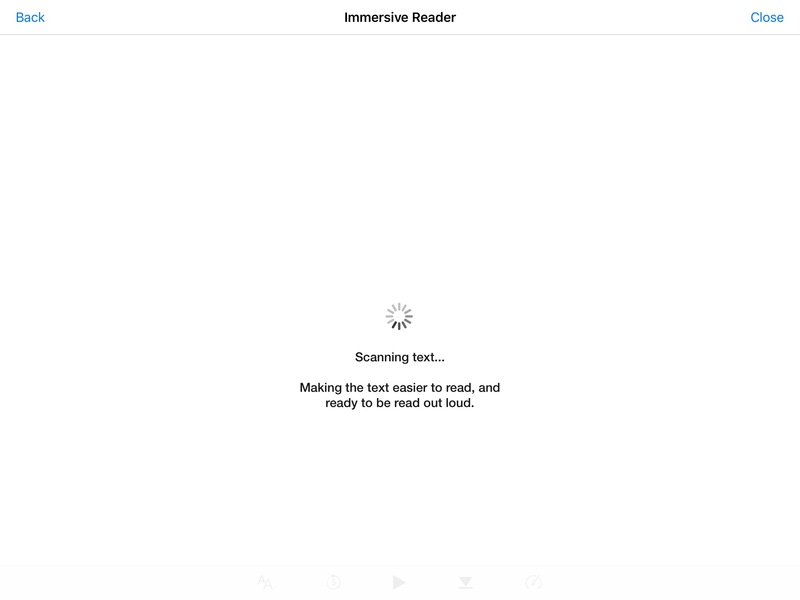 Let’s start with the Immersive Reader. The conversion is reasonably quick, on a decent signal at least. 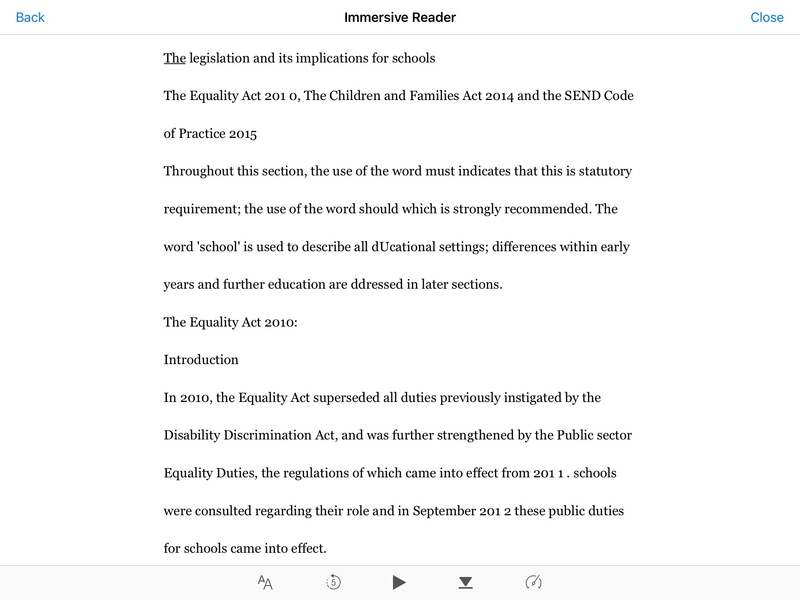 Immersive Reader provides a clean and pretty clutter free interface. Press the play button, and the text will be read out to you. The speed of the reading can be varied to suit your individual needs. 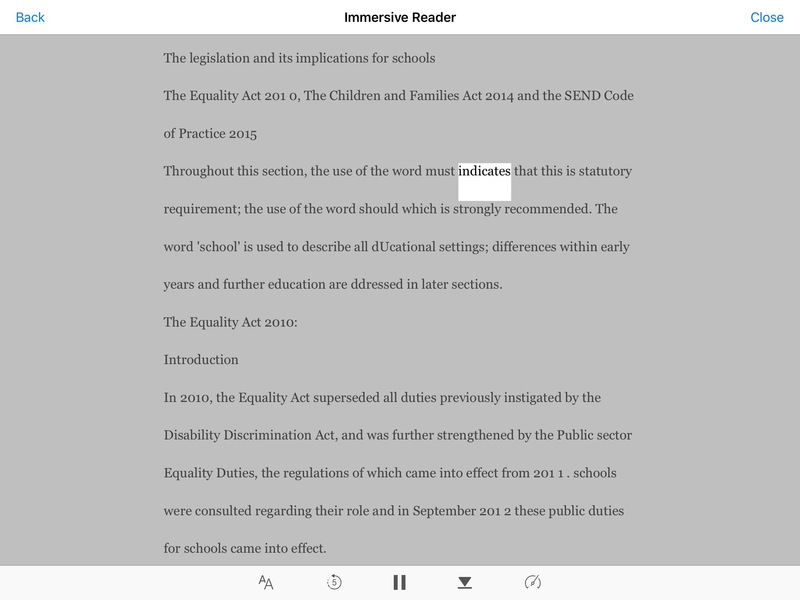 The current word being spoken is highlighted as it is read, and you can make the speech faster or slower to suit. Did I mention it was free? And we’re not finished yet….. 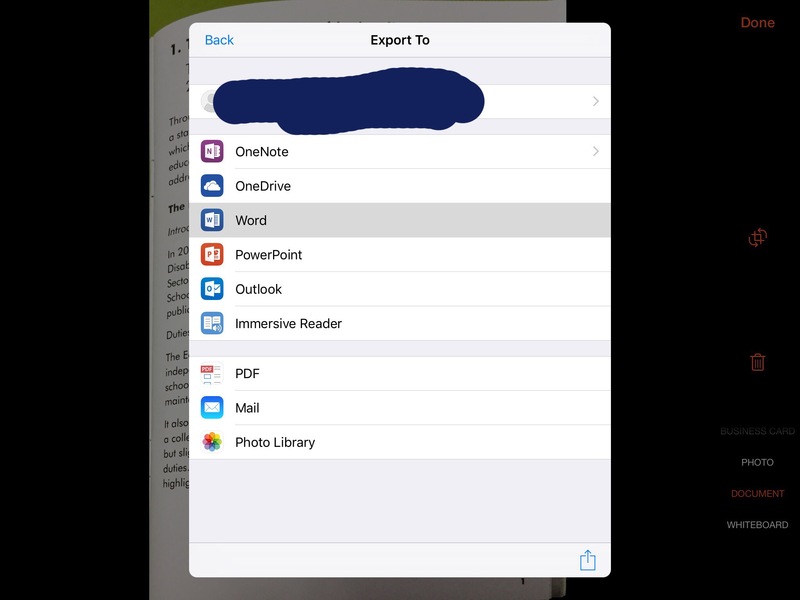 If you have a compatible OneDrive account – like I don’t know, a school account or through Glow – then you can upload the scanned document to Word through OneDrive…. …where it just happens to become fully editable text. 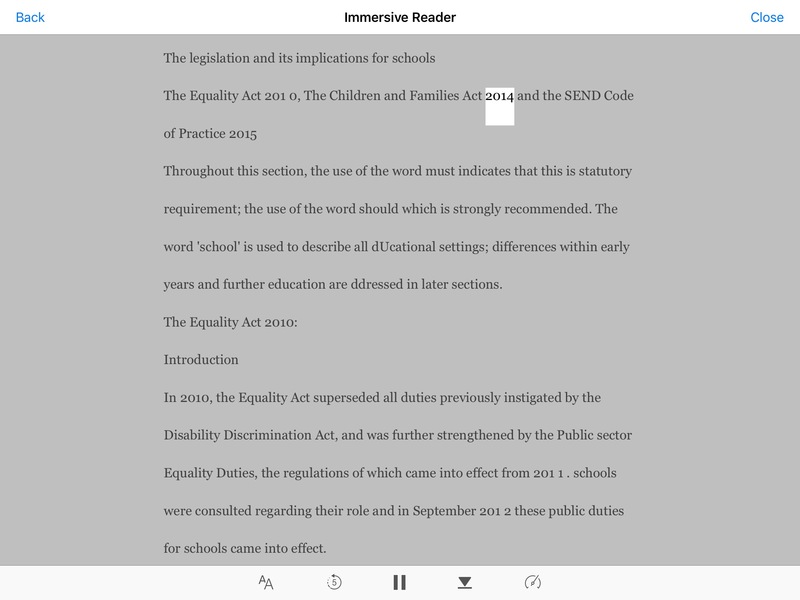 As with any OCR technology, it’s not perfect – but it is pretty good. It’s also available as an Android or Windows (naturally) app, but I haven’t seen them up and running. Definitely worth a look though. So, that’s Lens. What about ‘through a lens’? And then I stopped and listened to myself. I smiled, and thought about what the app is capable of and what our reaction was to seeing. And it’s a telling glimpse of where we are. We are insatiable. It doesn’t matter how good a piece of software, or hardware or work is, we always want it to do more, be more, achieve more. Which is good, in a way, and where progress and improvement comes from. But sometimes you just need to stop for a minute and say good job, well done. So Microsoft; good job, well done. 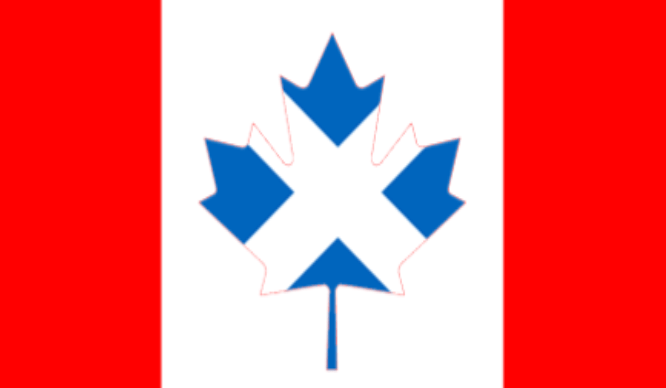 So, it’s been a while since I posted, but I had some really exciting news today and thought this would be a good place to break it, as well as a good reason to get me writing again. If you work with me, follow me on Twitter or are unfortunate enough to be one of my Facebook friends, then you will have been getting plagued for about the last fortnight to vote for a video I created telling people about “My SMART moment”. 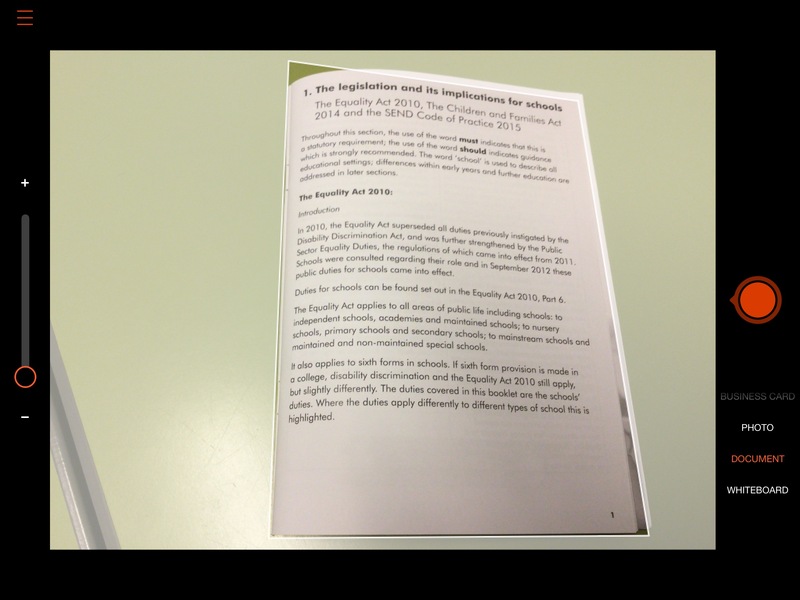 This was part of the application process for the 2014 Global SMART Exemplary Educator Summit in Calgary this summer – from July 19th to 26th. 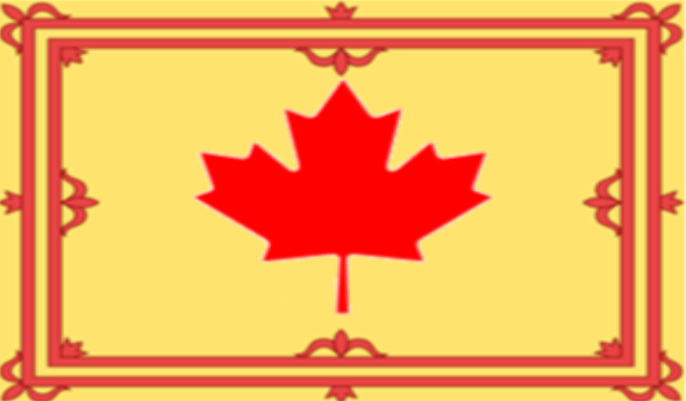 Sorry you had to put up with it, and thanks to anyone who watched the video, voted, harassed anyone else into voting, thought about voting or liked, RTd or shared. Although I never got enough votes to snag myself an automatic space (some of those other SMARTees had thousands of votes!) between my video, the votes cast and my application form I must have done enough to impress someone on the panel, because I received an email today telling me that I had been selected to attend! I’m delighted and excited, and looking forward to meeting educators from around the world, learning loads and possibly getting a sneak peek at the new technologies that SMART are developing. Hopefully, I’ll be able to tell you all about it on here, but that’s in the future. 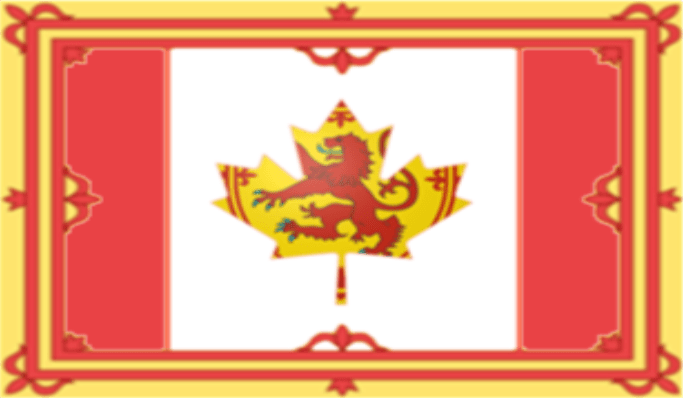 For now, here’s some flag mashups I created using Notebook (obviously!) to celebrate! Which is your favourite? Or alternatively I’ll catch some bug and spend the next two and a half weeks feeling absolutely lousy and unable to focus on any kind of work! Anyway, feeling a bit more human now, and noticing the course moving on relentlessly without me I thought I had better try and get caught up. So, apologies for lagging behind, but the catch-up starts now! I have to admit to having some amount of trepidation about my forthcoming confession. There’s no need for it really, I could easily write a blog post reflecting fairly honestly on my audio experiences without making things so clear, but I feel that to do so would be disingenuous at best and downright dishonest at worst. So here it is. It can’t have been that bad, can it? Actually, the answer to that is No, but Yes as well. That sounds a bit confusing, so I should probably explain. During my ‘audio experience’ I had a chance to listen to a couple of stories and a novel as audiobooks. These I really enjoyed. The stories were fairy tales from CDs being given away with The Guardian during September, and feature actors Stephen Mangan and Tamsin Grieg on voice duties. The novel was the audiobook of “The Great Hamster Massacre” read by someone whose name I didn’t recognise – Susie Riddell – but who turned out to be a graduate of the Royal Welsh College of Music and Drama; a professional actress and voiceover artist who has narrated many books, acted in many radio plays and is currently a regular in “The Archers”. With such expertise on voice duties, it is perhaps unsurprising that I really enjoyed these. And perhaps looking back over the years and seeing where I have enjoyed many radio dramas or professional readings, no great surprise. I can easily see why people would enjoy listening to these, and why people would choose to listen to them. I even thought about audiobooks for my car journey to and from work – could be interesting and make a change. Next, encouraged by my audiobook experience and inspired by David’s blog post I decided to have a go using my computer and browsing the internet via audio. Why was it so bad? First of all, I have to admit I’m no expert at setting up or using voice accessibility on the computer (in this case Windows Narrator), so perhaps I contributed to my own downfall somewhat. But then, on the other hand, I’m the guy who should be able to do it for our school, so I’m not going to cut myself any slack there. I could find nothing properly. Nothing. Think about that for a minute – absolutely nothing. 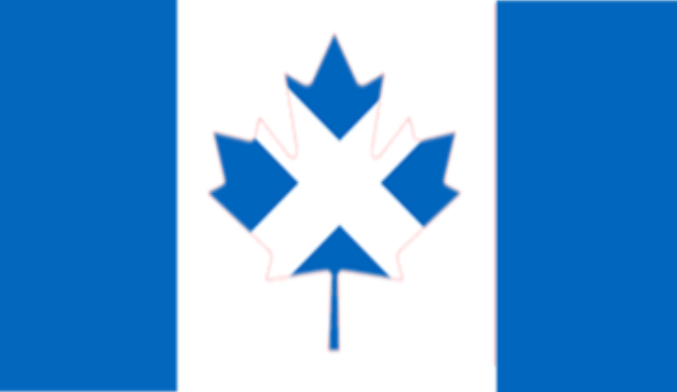 Despite the fact I am a pretty proficient computer user and have some experience in assistive technology, I was unable to open a file, start an application or browse to a webpage purely using the audio. I had to peek. A lot. And that’s not the half of it. David’s sums it all up pretty well in his fantastic post, so I’m not going to try and do the same (although I am going to recommend you read his post!) but I will add a couple of points of my own. Firstly, just listening to the voices is hard, hard work. Much harder than listening to a recorded voice – even an amateur one – and certainly much harder than listening to a ‘voice professional’ like those discussed above. To try and illustrate what I mean, I am going to insert some short audio clips in here as evidence. Using the introduction to this post as the reading material, I am going to add a text generated Chirbit of a synthetic voice reading the passage and then an AudioBoo of myself reading it (I did ask Stephen Fry to record the same clip too, but it turns out he’s rather busy). I find the synthetic voice – and it’s not just this one, it’s most of them – incredibly difficult to listen to. They often seem to read too quickly, although I know you can slow the speed of a lot of them down. And if you miss a bit, or want to check something again, it can be very awkward, but it’s more than that, I just don’t think my ears ‘like’ doing it. To compound this misery, the screen reader reads out everything that’s on screen – and I mean everything. And including loads of things that aren’t on on screen too! Compare that to when you read a piece of text yourself – you know you’re just looking for the actual body of text, so you probably ignore internet addresses, headers, footers, font type, page numbers, prices, copyright notices….you get the idea. The screen reader has no such discrimination; depending on how much text or links are on a page you may end up being there for quite a while. You take for granted how much filtering you do when reading without even thinking about it, when you suddenly lose this ability it’s a nightmare. Then you have to think about all the keyboard shortcuts at the same time to try and get Narrator to read what you want it to. I’ve been trying for about a fortnight with the shortcuts in front of me and I still can’t manage it properly. Think you’re working hard then, do you? The last thing I’m going to mention is just how tiring the whole experience is. Possibly due to an interaction of the previous two points, I found the whole experience exhausting. I couldn’t believe how tiring I was finding such simple tasks – and there’s a thought to take back to the classroom. Now, perhaps some or all of this is due to never having done these things before. Perhaps I would get better the more I practised, and would find the whole experience less uncomfortable. I would like to think that this would be the case, because if it doesn’t get easier, and that is what some students have to go through every day then I think we need to come up with a Better Way – and fast. I’d been asked by my Head Teacher to see what my network had to say about concept mapping. A few shouts on Twitter and some retweets from the pedagoo crew got me a pile of responses, so thanks to Kenny Pieper, Fearghal Kelly, Drew Burrett, Sinclair Mackenzie, Alan Stewart, Samantha Williams, Malcolm Wilson and Allan Reid for all their help. So, what did I find? A pile of stuff actually. On the free side, as well as being pointed towards bubbl.us which I have used before, I was also given links to FutureLabs exploratree and the quite interesting text2mindmap whilst Google suggested I take a look at Simple Mapper and I also stumbled across the Seeing Reason Tool from Intel. Commercial resources mentioned included SMART’s SMART Ideas, Mindomo, MindMeister and creately (most of which have free versions with limited functionality). Alan sent an address for a Livebinder which as well as having most of these links and a pile of others, also reminded me how useful LiveBinder could be. Sadly not. Over and above the resources themselves, I’d been hoping to find examples from people who are working with concept mapping already, and nobody seemed to have anything to share on this point. We’d also been quite hopeful of finding someone who might be able to deliver some training on the effective use of concept mapping, and whilst I had noticed that iansyst had a mention of concept mapping training on their site, I could find little else. So, that’s where things stand just now. But I’ll keep looking and listening and see if I can find out anything else!